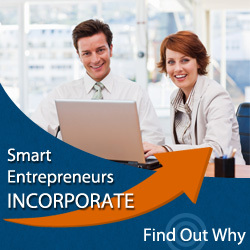 It isn’t all about an MBA, a solid investment from somewhere or how innovative you may be. 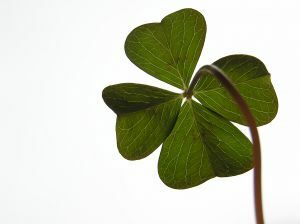 Luck is a factor, and most successful business people believe that luck had something to do with their success. What’s interesting about this is that the average person in a full-time job or even in a small business puts education first and discounts luck as a factor. The big success types never discount luck. People who consider themselves lucky behave differently than all the rest, and they have a lot in common with very wealthy people. They do things the same way, and they credit luck with much of what they achieve. So the question is, can the average person get lucky? The answer is probably. There are certain things that may actually bring better luck to you and your business. Successful people are goal oriented. They have a firm commitment to a set of goals and they create their own luck as they attain those goals. Luck has a lot to do with being poised or set up for it. Having a set of meaningful objectives creates a mindset that makes finding lucky moments easier. If you ignore goal setting or you create a set of goals that are clearly unattainable, it sets you up for disappointment and for a feeling of lost luck or bad luck. Who you hang with makes a difference. If you associate with successful people, chances are these are people with luck. This rubs off. Good networking with the right kind of people puts you in the company of a set of positive attitudes that pervade good luck, and this can be contagious. Stay connected with movers and shakers and watch your luck improve. It just will. Big time operators move in small circles of highly successful people. Luck is something that goes along with the way they operate. Move with this group and your luck will increase just by providing opportunities you’d probably never uncover anywhere else. Lucky people, that is, highly successful people go all out at all times and they bring a winning attitude to everything they do. A winning attitude gives you the opportunity to jump on things that may happen purely by chance. Lucky? Some may say it isn’t luck. Chance isn’t about luck. In fact, chance and luck are one in the same thing. Lucky people are always prepared. Lucky people know how to deal with curves that inevitably get thrown. Taking a positive, prepared approach to every business dealing increases the possibility of good luck. An important part of good luck is being good at what you do. You can’t expect any good fortune to come your way if you don’t have a solid skill set in your field. The better your professional strengths the better your chances of success. The better you are at your job, the better you’ll be at making important decisions. If you operate from a position of strength, you’ll sense good luck all around you. People who consider themselves lucky learn from failure. They never allow little failures to deter them. They always fight on. Big failures can be debilitating to just about anybody, but there are people out there who are capable of taking catastrophe in a way that won’t disable them. They get back on that horse and they go at it again. They build good luck for themselves with perseverance. Success and good luck are tied together. Luck is not a fantasy. It’s real, and luck is something anyone can attain.